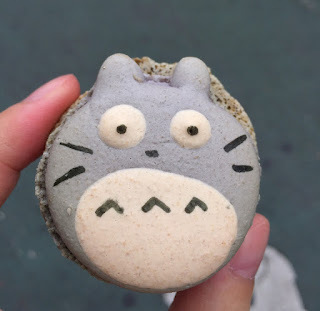 When we're at Broadway Bites near Macy's at 34th street & Broadway, I saw Totoro from My Neighbor Totoro by Ghibli at Macaron Parlour. We've had their macarons before and they're good, so we got a Totoro one this time. Depends on the flavors, they had Totoro and unicorn-cat, and these special macarons cost 75 cents more than regular macarons, which are 2.75 dollars. The flavor we got was "Party Time," and it's salted milk chocolate and dulce de leche. Totoro was gray like the animation, but when I bit, I was surprised to see the inside was unexpected bright purple. 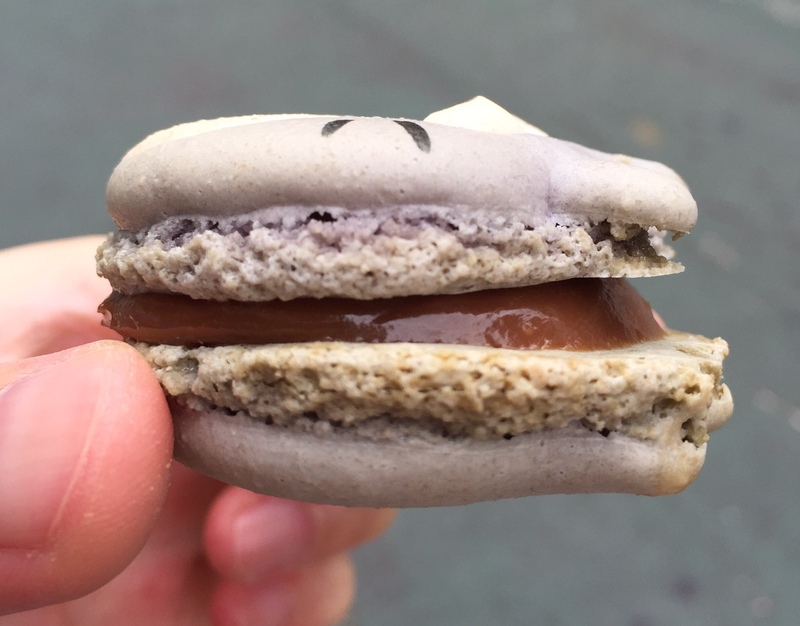 The bottom macaron seemed to be milk chocolate as it's brown. The shell was light and crispy on the outside while the inside was moist. 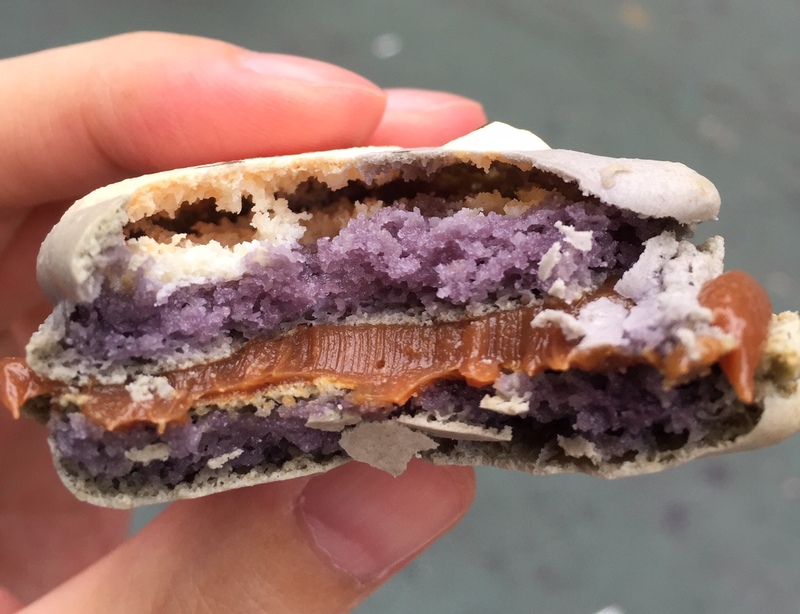 It had a hint of salt and that helped sweet and velvety dulce de leche (caramel) taste not too heavy at the end. Another review of Macaron Parlour.